The Stargazing....a grand bouquet with red roses and stargazer lilies. A seasonal favorite. This is one bouquet that is a show stopper. 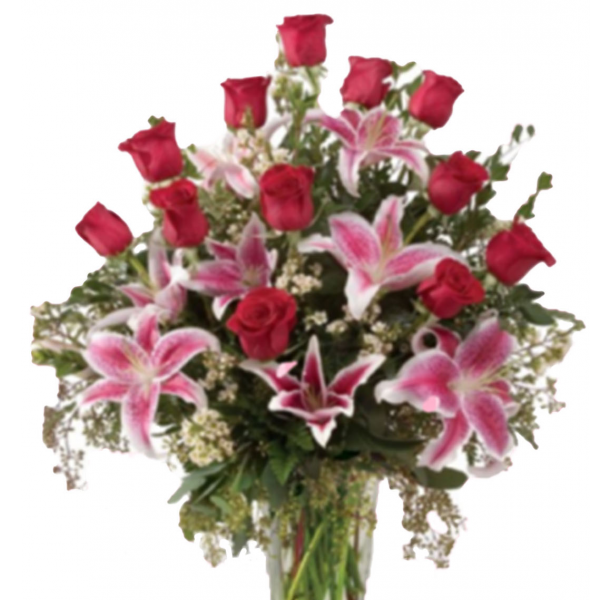 Freedom red roses combine with Stargazer Lilies in a display that will certain get attention! Order early to avoid a sell out!